A Better Antenna-Tuner Balun, an article I wrote for QEX, the ARRL technical journal. Copyright (C) ARRL, 2005. Weekend Antennas No. 4 - A Simple 70cm Satellite Antenna. Weekend Antennas No. 3 - A Magnetic Slot for 40 Metres. Weekend Antennas No. 2 - The Versatile Vee Beam. Weekend Antennas No. 1 - A Bobtail Curtain for 2m. This is the first installment of a regular column on antennas that I am writing for our national magazine, Radio ZS. Welcome to my Amateur Radio homepage, thanks for stopping by. 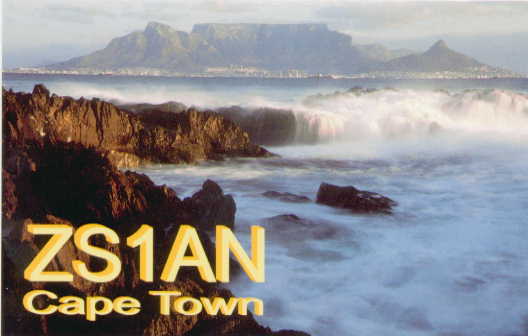 My name is Andrew Roos and I live in the city of Cape Town, South Africa. I have been a radio amateur since 2001. My amateur radio interests include antennas, CW, contesting, digital voice, DXpeditions and electronics. I am the Education Councillor for the South African Radio League and I also run RAE training courses for my club, the Cape Town Amateur Radio Centre. 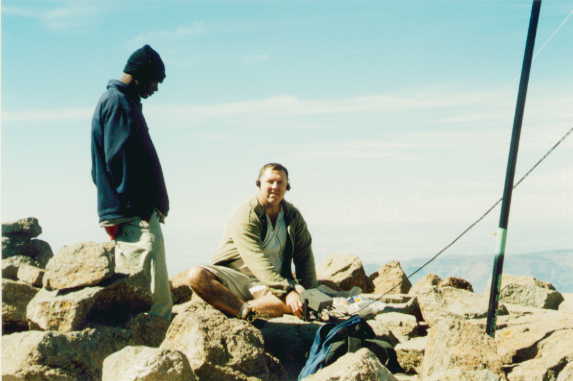 I am the association manager for Summits on the Air in South Africa and in 2003 activated Cathedral Peak, which at 9,859 ft is the highest peak activated to date for SOTA. On these pages you can find information about my station, a diary of some of my DXpeditions and other activities, as well as a number of articles and presentations I have written. I work for a software development company called ExiNet which specialises in building complex systems using Java. My role includes architecture, design and project management. My hobbies include aviation (I hold both a Private Pilot's License and a Glider Pilot's License) and astronomy. I hope you have enjoyed your visit to my website. Please email me if you have any comments or suggestions. I hope to meet you on the air!